Home / Cashback / Cashkaro / offers / MYVISHAL Loot offer to get T-Shirts for Rs.29 only!!! MYVISHAL Loot offer to get T-Shirts for Rs.29 only!!! Hello wap5 readers, Hope you all are enjoying the Wap5 Giveaway VISIT READ & EARN . Today we are here with a new website called Cashkaro. 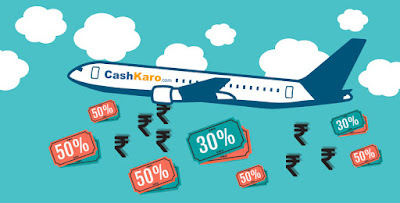 Cashkaro.com is the India’s No.1 Cashback and coupons site. Their goal is to help their members save on their regular online purchases at leading Indian and International Brands. Their cashback and coupon partners includes your favourite brands like Jet Airways, Yatra, Expedia, Flipkart, Myntra and 100s more. Other coupons site gives you only free coupons, but Cashkaro.com gives you coupons and cashback too. Their discounts are always over and above any offers. For example, if you use a Cashback credit card, our cashback is on top of that. This makes the savings truly unique. Effective Price: (3 T-shirts for Rs.279) – (Rs.140 Cashback from CashKaro which is bank transferable) – (Rs.50 Signup bonus from Cashkaro) = Rs.89 For 3 T-SHIRTS!!!! 4. You will See Offer Details for 100% CashBack offer- Rs 140 CashKaro Cashback on Orders over Rs 140!! 5. Click on Activate Cashback Button Below it. 6. On Next Page Click On Visit Retailer & Now you will be redirected to MyVishal website. 7. Now Select Any of the T-shirts/Shirts (Buy 3 For Rs.279 Offer is Going On) and pay. 8. On Completing The Payment, You Will Instantly Receive Cashback In Your CashKaro earnings. 3. Now Follow Above steps by making new account to get another T-shirts In loot Price. 4. If you want to Loot Unlimited then you need to change Your IP Address. · Flat Rs 140 Cashback on orders over Rs 140. · CashKaro Cashback is not valid using any coupon code.